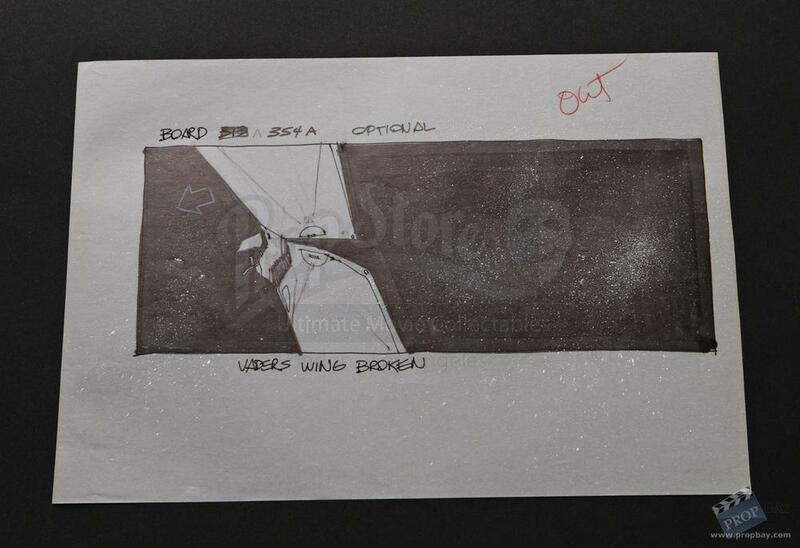 An original hand drawn storyboard by Joe Johnston. 354A-Optional on vellum paper. Darth Vader´s wing broken. A copy of this art can be seen in "The Making of Star Wars" book by Rinzler. Added: 06-08-2014 - Viewed: 1571 times.